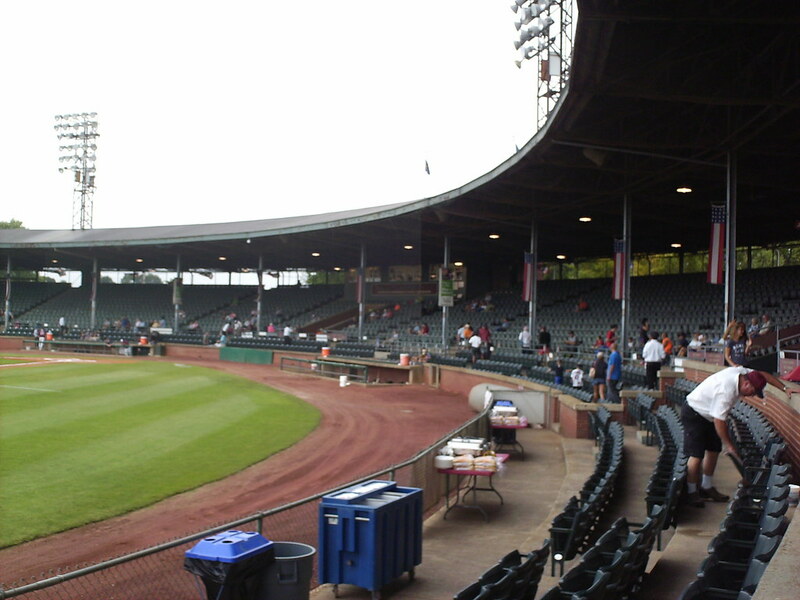 The view from behind home plate at Bosse Field. 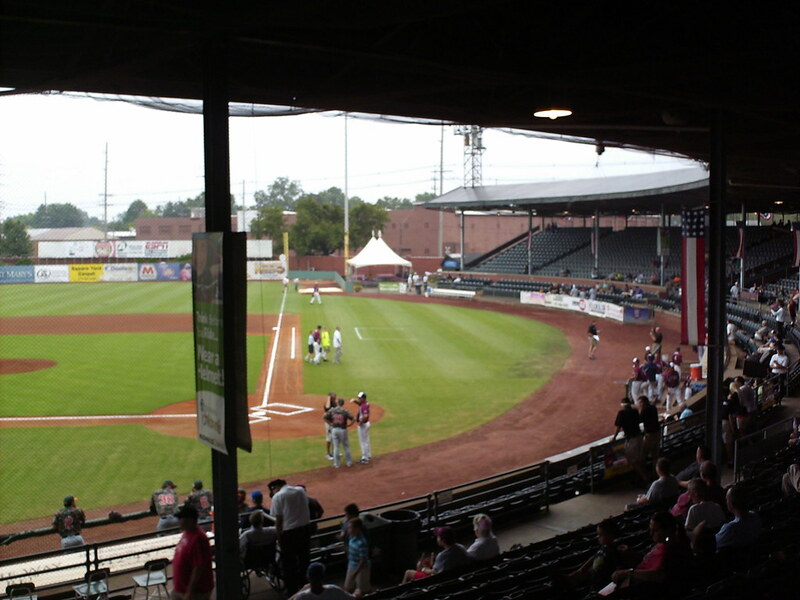 The grandstand at Bosse Field. 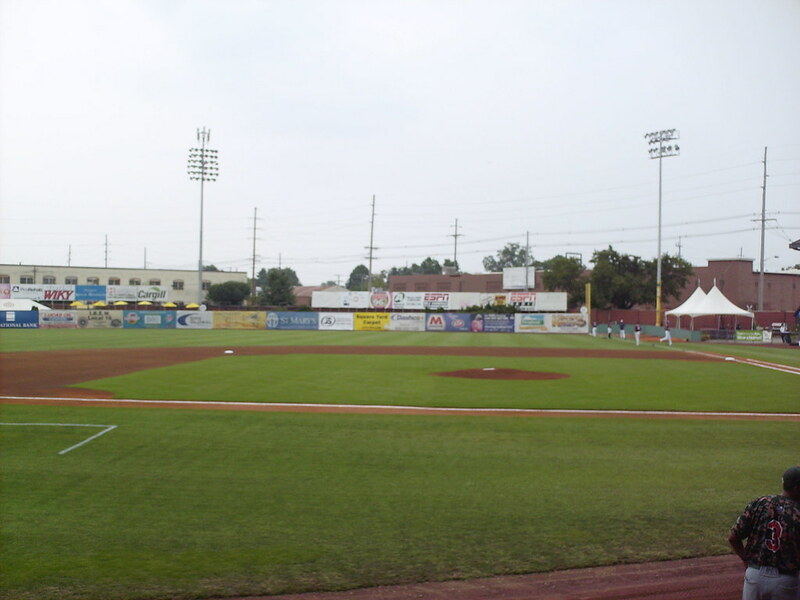 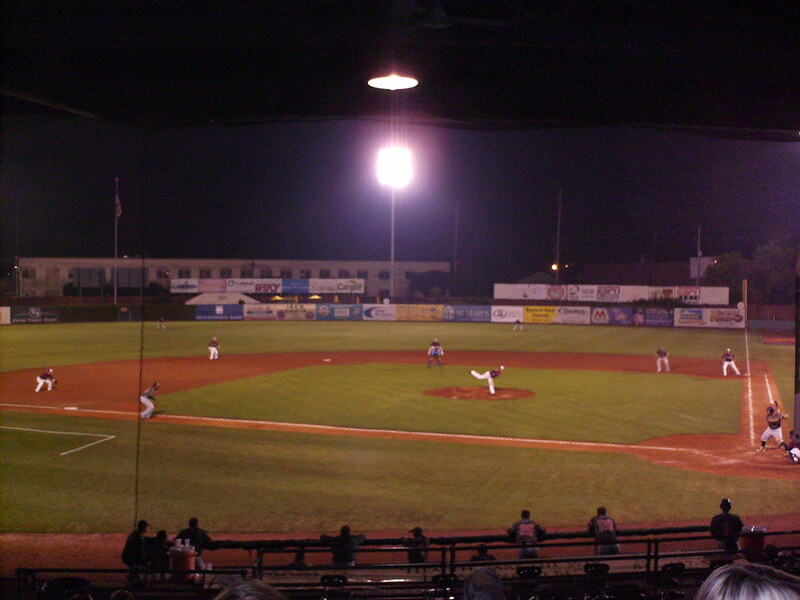 The stadium was built in 1915 and is one of the oldest parks still in regular professional use. 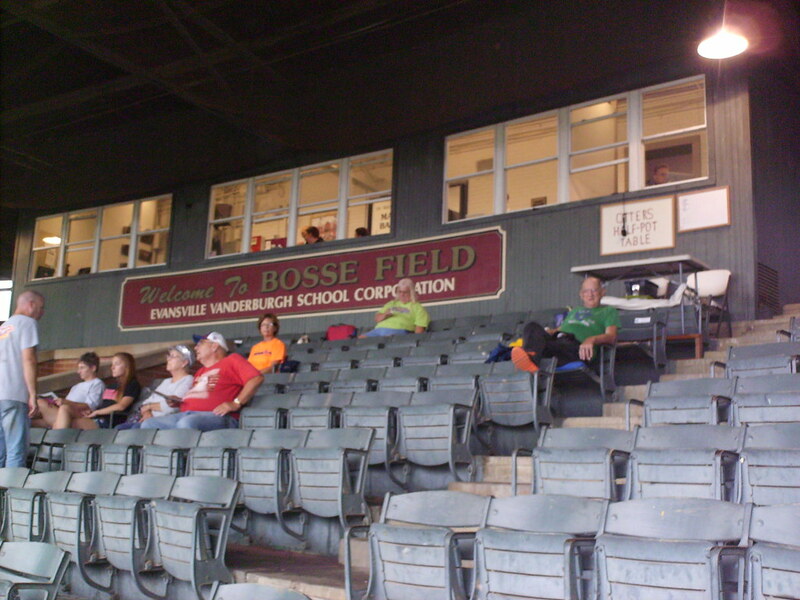 The pressbox at the top of the Bosse Field grandstand. 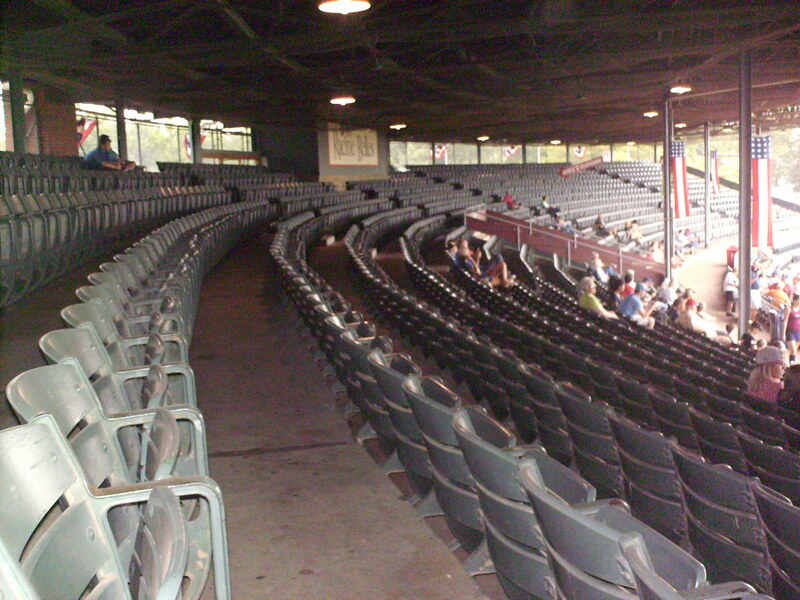 All of the seating is fold down seating in long rows in the concrete and steel grandstand. 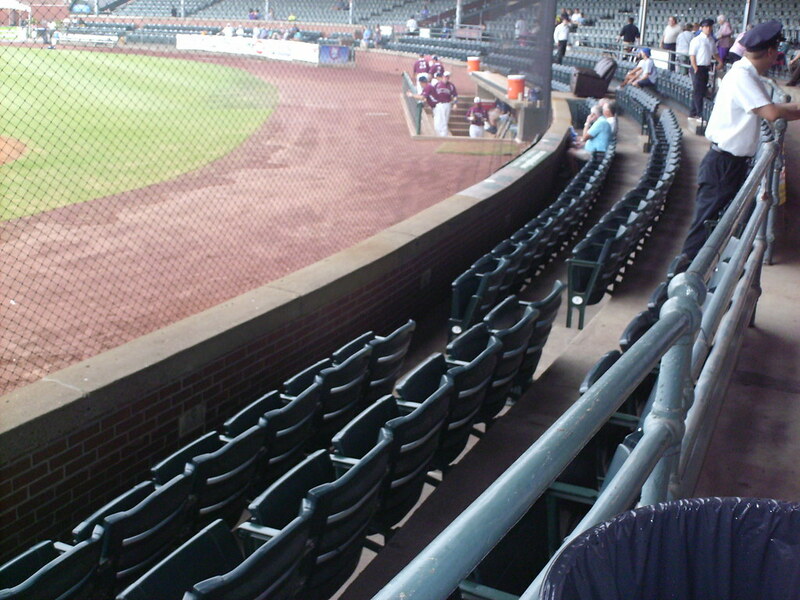 Box seating makes up the first three rows, and ushers at Otters games wear throwback uniforms. 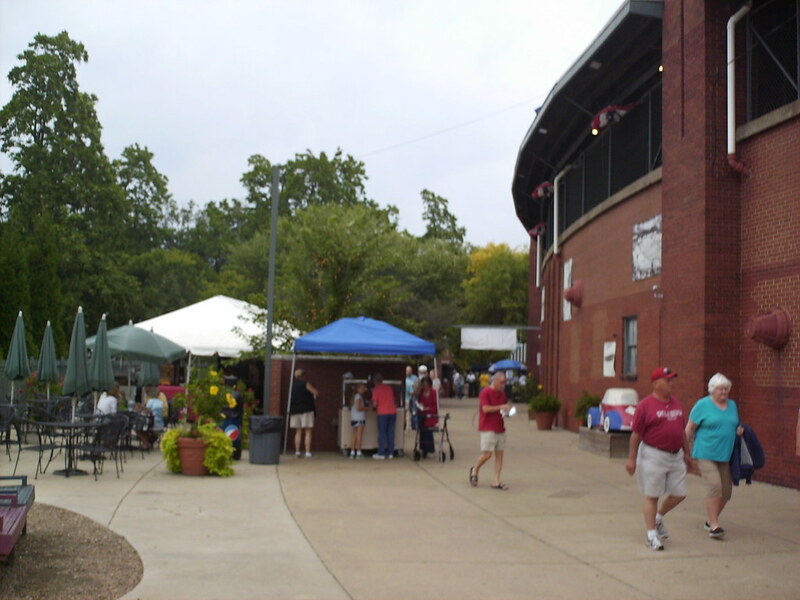 A large open party box extends out into the field from the original grandstand. 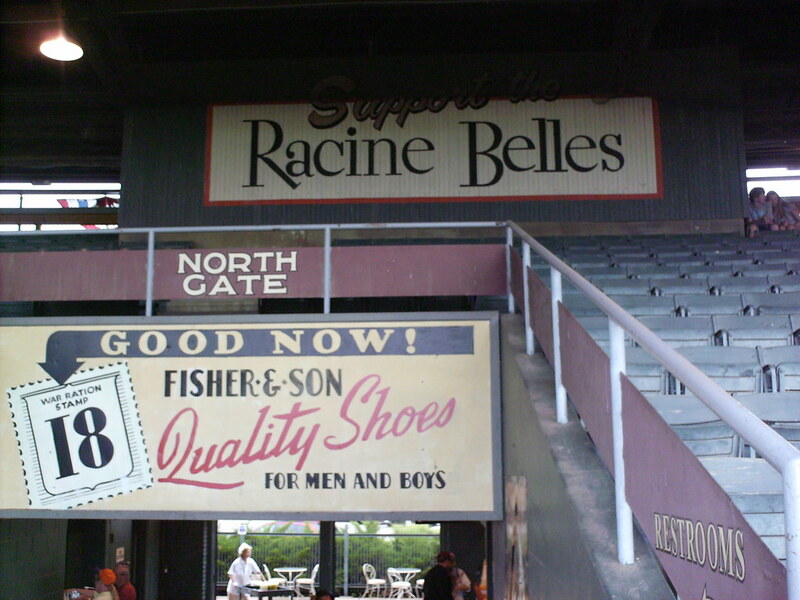 Bosse Field was used as one of the main sets for the movie "A League of Their Own" and the park still features period ads and banners touting the Racine Belles women's baseball team. 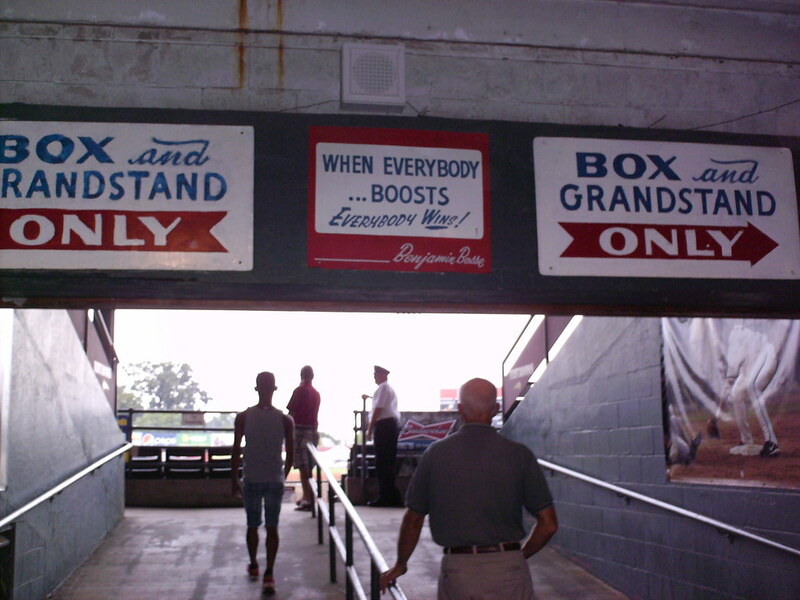 A quote from former Evansville mayor Benjamin Bosse, for whom the field was named, greets fans walking up the tunnels to the grandstand. 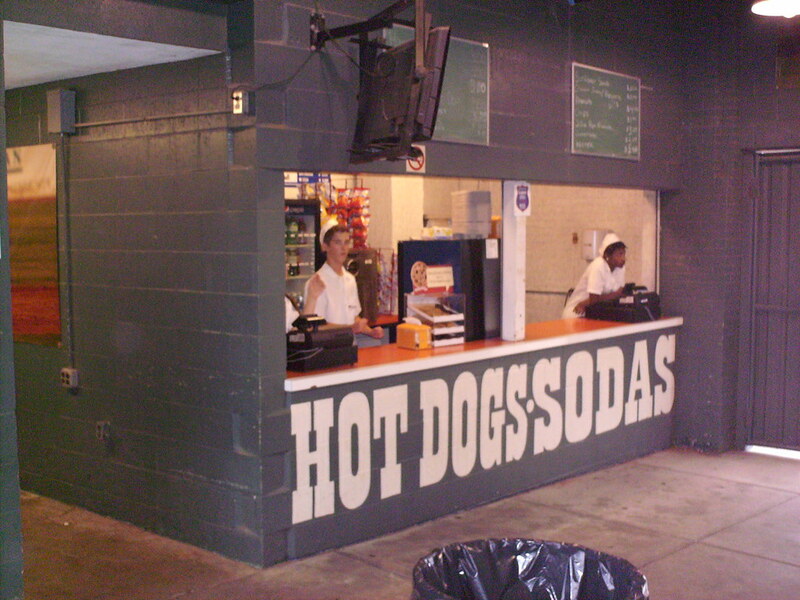 Concession stands under the grandstand also feature throwback uniforms and signage. 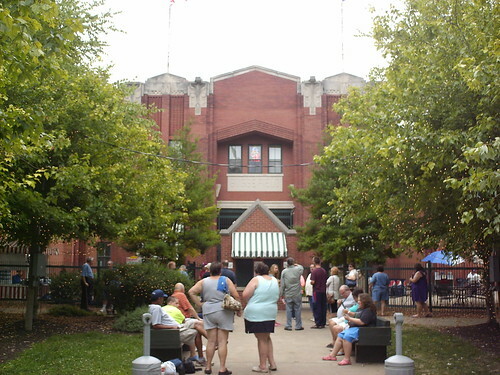 The outer concourse and brick facade at Bosse Field. 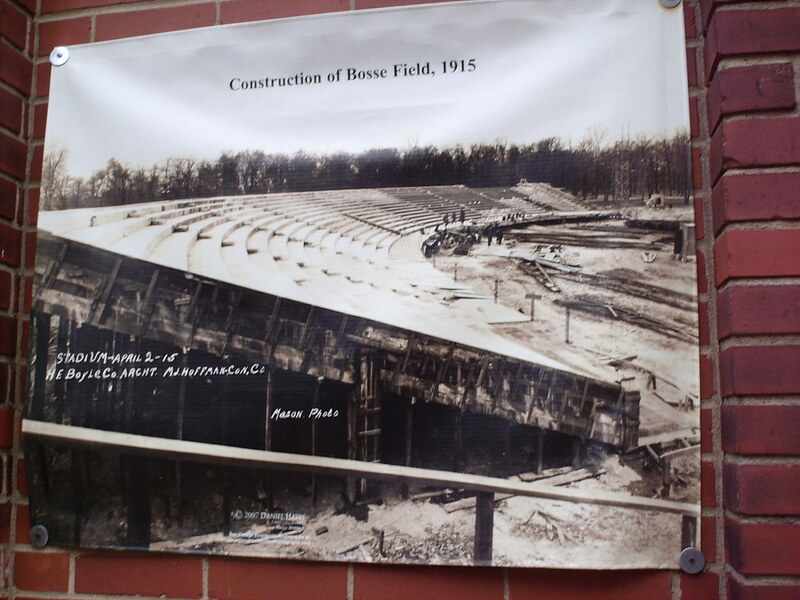 Photos along the outer concourse show the construction of the stadium in 1915. 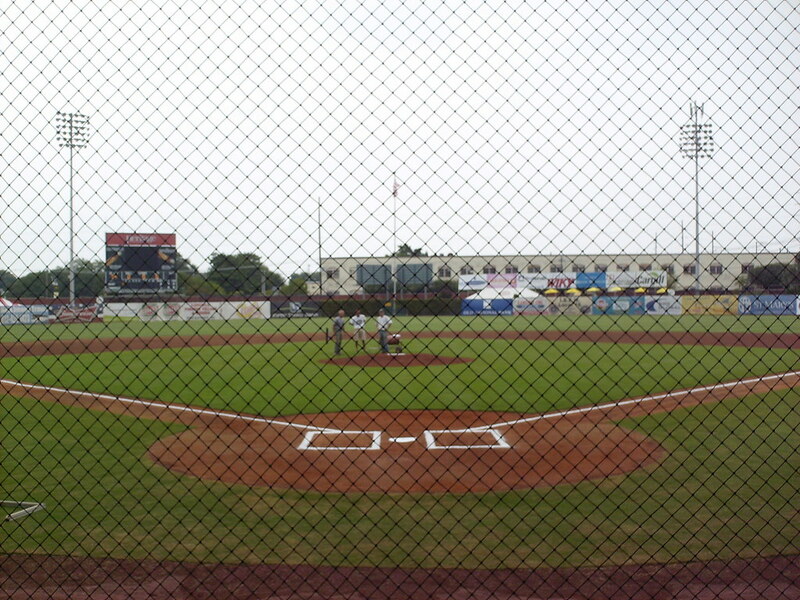 The grandstand wraps around the field in a wide circle, creating a huge amount of foul territory down the lines. 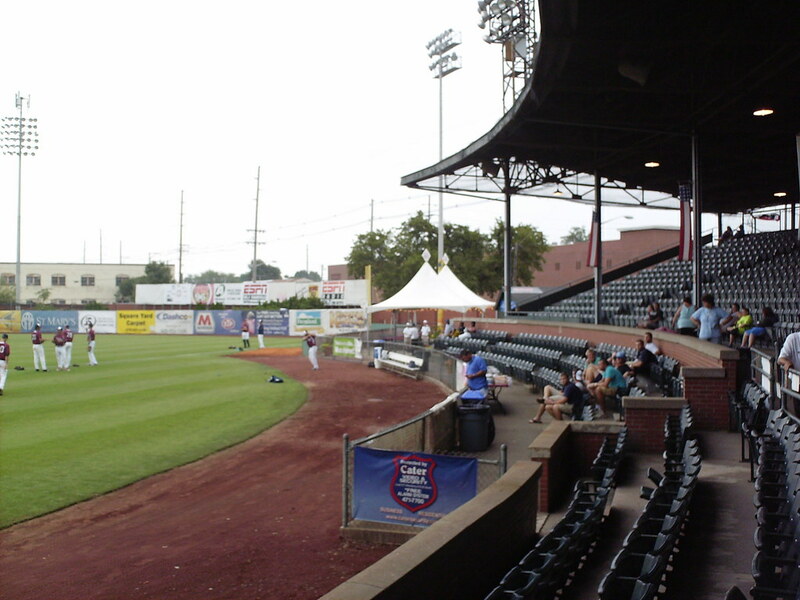 This allowed the park to also see use as a football stadium in its early days, and it was actually home to an early NFL team in the 1920's. 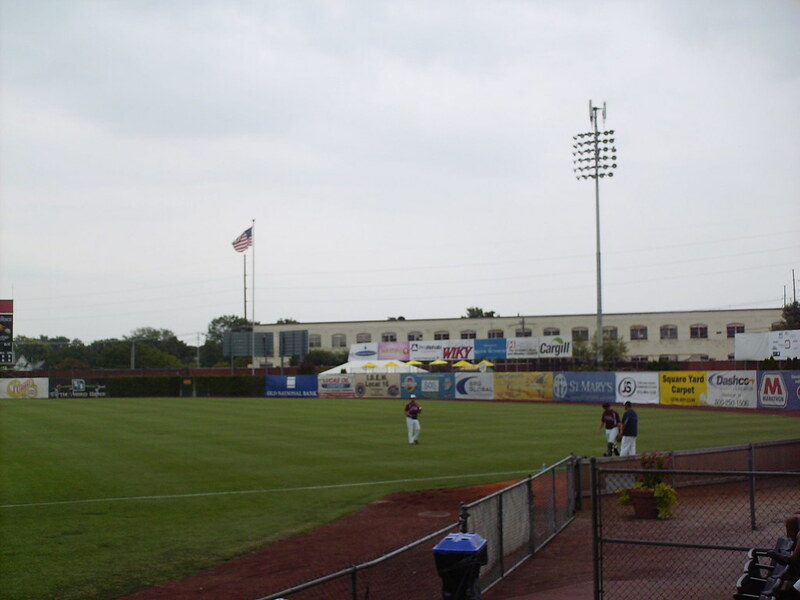 The outfield wall curves uniformly around the playing field and features ivy on the center field fence. 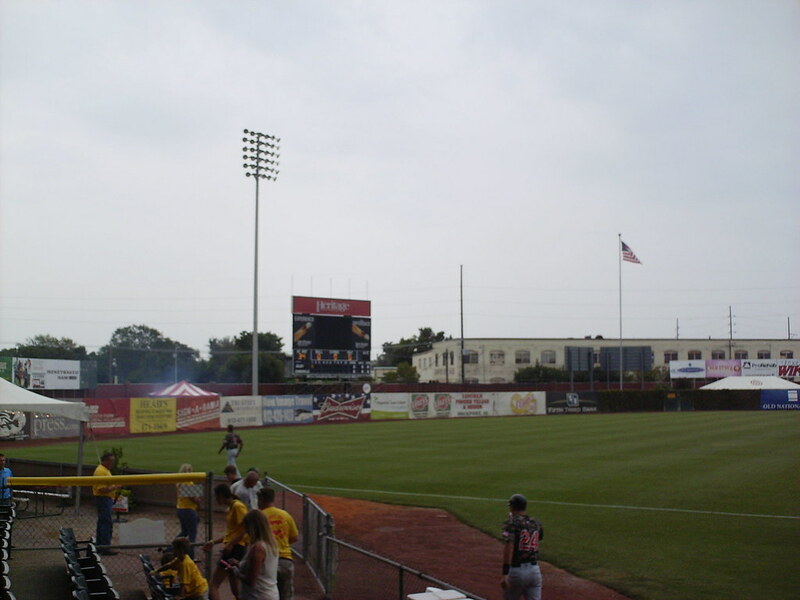 The scoreboard behind the left field fence. 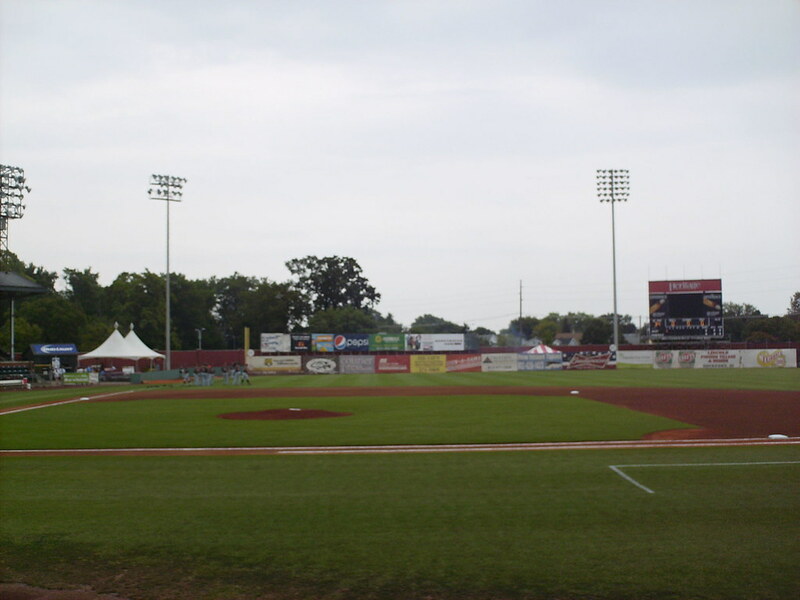 The Evansville Otters on the field during a game at historic Bosse Field.